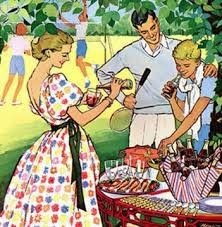 Yesterfood : Summer BBQ Party and Grill Giveaway! Summer BBQ Party and Grill Giveaway! We love to party! So we have a GREAT giveaway and a BBQ party going on for you! Summer is all about enjoying the outdoors, and what's better than getting together with friends for a barbecue...with a NEW GRILL?? Let me introduce you to all the ladies who joined us for our giveaway and party! And HERE'S what you can win! Be sure and follow us on our Pinterest Board to keep up with the best summer recipes. BBQ Grilled Chicken is a favorite of mine, too! Thank you for coming by, Angela! Burgers on the grill are the best! Thank you ladies for this fun BBQ party, you're all amazing bloggers and I appreciate you! I love to cook burgers! Favorite on the grill? That would have to be steak. We had burgers this weekend, but BBQ chicken and or ribs are my favorite. This is an amazing giveaway. I made sure I was following everyone. If you ever need another person, in these group giveaways. I'm In! Blessings and have a great Sunday! Happy weekend wishes. I'm happy to be part of this great giveaway with you. Hugs! After almost 12 years, our grill is dying a slow death and we need to replace it. I hope I win this! I linked up a few of my favorite grilled recipes. Steak on the grill is the best, also vegetables, love zuchinni and corn on a grill. hamburgers and hot dogs and chicken!! G'day! Looks like a great giveaway Joy!!! 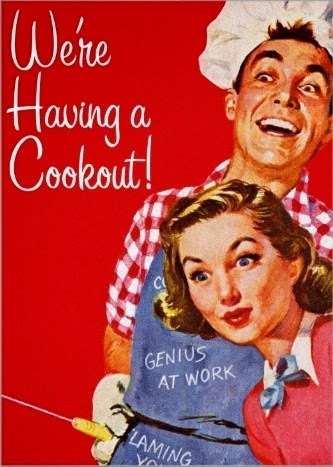 I am sure whoever wins will have some terrific Griller Thriller recipes to share with you! A great link up and the chance to win an awesome BBQ...I'm definitely in! Grilled honey bbq chicken! What a beautiful prize! I'll grill just about anything! My latest favorite is prosciutto-wrapped asparagus. So yummy. I like to grill steaks, burgers, hot dogs, corn on the cob, brats, and baked potatos! I love to grill hamburgers and veggies on the grill. My favorite grill food is veggies - yum!!! I love to grill summer squash, peppers, potatoes, and onions.